Won't you take me to a sparkling town wearing the SKECHERS Luxe BOBS - Glitterville shoe. 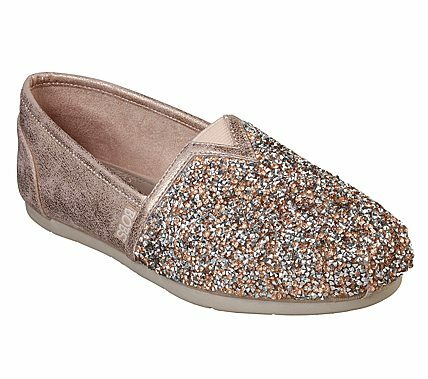 Smooth metallic faux leather and sparkling mini rhinestone finish fabric upper in slip on casual alpargata flat with stitching and overlay accents. Memory Foam insole.